Before the Bitcoin/cryptocurrency bubble burst (not sure when), many people are still very keen to get their hand "dirty" into the crypto-mania. Of course, the fastest way is to buy it from the cryptocurrency exchange (assuming you already have an account with them) or buy it from the ATM. Next, is to get it through mining which take time and there is no guarantee. Today, I am going to share the third way, which is by participating in the Blockchain project itself. Depending on the ecosystem of the projects, some of them (see below for at least 3 of them) allow the users to earn some cryptocurrency just by involving in their project. Description : Steemit is a simple looking decentralized social network platform which allow users to connect with friends and blog about anything under the sun. How you earn the crypto? You will earn the STEEM and/or STEEM DOLLARS (SBD) cryptocurrency when other users upvote (equivalent to Facebook's like) your post/comment. Similarly, when you are upvoting other user's post/comment, you are giving them fraction of STEEM and/or STEEM DOLLARS. Of course, this is just the simplified version of explanation, you can refer to the site or the Whitepaper for more details on how the Steemit ecosystem works? I have an account with Yours but haven't posted anything there yet. Description : Earn is an survey app that earn you Bitcoin (BTC) once you completed the simple survey. There is a feature to link your Google email account to monetize the non-white list email senders, but personally I didn't active this feature. Note: In view of the high transaction fee of Bitcoin, Earn is currently looking into introducing their own crypto so that it's cheaper to withdraw the earned crypto. 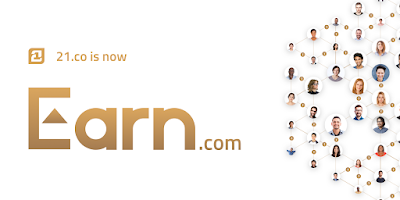 I am currently having an account with Earn. So far, most of their surveys related to ICO (Initial Coin Offerings). Average earning per survey is USD 1 to USD 4 (in BTC). I am sure there are other similar projects/sites around or coming soon. 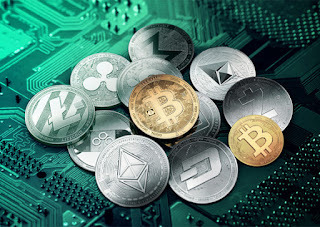 These are the sites that might not earn you size-able cryptocurrencies but if you are not interested in buying or mining the crypto but yet wanted to have a feel of owning them, you are free to try them.